Today I felt like I was throwing together some of Ellie’s favorites to try to create a quick meal but I think it worked. 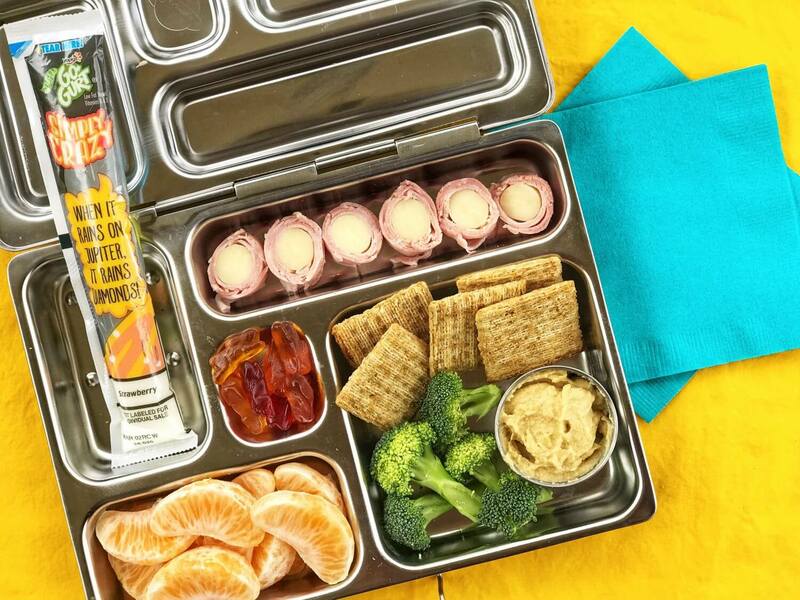 I always strive for balance when I’m prepping her lunchboxes and often I have to consider what she is eating/ate for breakfast, what we plan to eat for dinner, etc. I usually include fresh fruit each day but today I gave her a few of her favorites, dried apricots. This is definitely something I limit, although they are very nutritious, but I know Ellie would eat the entire container if I let her. I still tried to keep the main nutrients and food groups in mind to help keep her full: fiber (tortilla and apricots), healthy fat (peanut butter), protein (Greek yogurt, milk, cheese and peanut butter). You’ll see in the picture below that someone is growing accustomed to joining me outside each morning to photograph her lunch. She brought all of the babies she could carry outside to help.